Protect your workstation and other valuable electronics with the best. 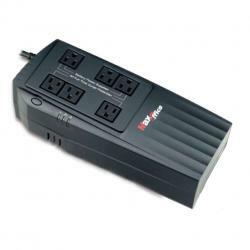 Orion Power Systems MaxOffice 600U 600VA / 300W 120V flat ups provides (3) surge only and (3) battery backup outlets. Includes monitoring software, USB and RS-232 communications, RJ45 surge protection. Wall mount capable.